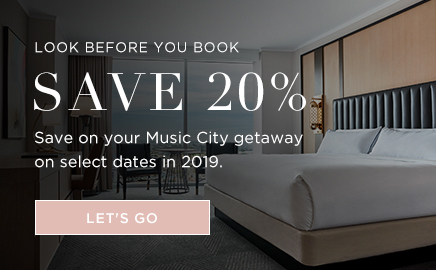 Our celebrated chefs prove there’s more to Nashville than country fried steak and collard greens. Whether you’re planning a gala banquet in the Symphony Ballroom or a business reception on the outdoor event lawn, this talented team creates custom menus worthy of your most important events. 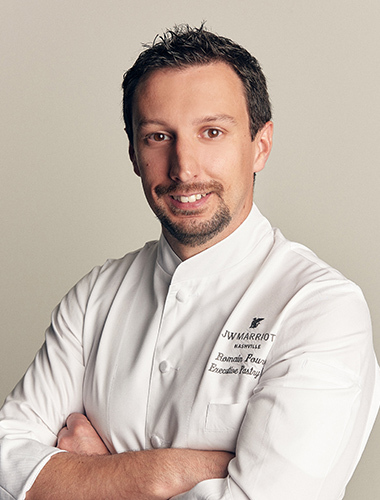 Romain Fournel joined the JW Marriott Nashville team in April 2018 as Executive Pastry Chef. As one of the culinary team leaders, Chef Romain oversees the development, creation and vision of the pastry division. 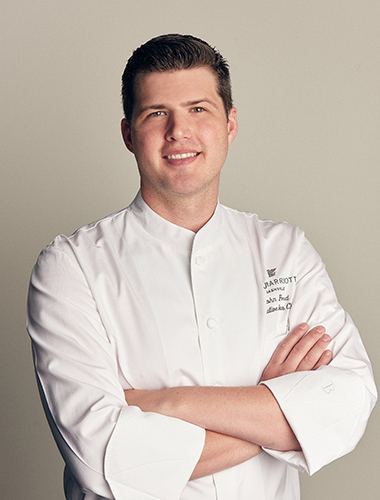 Prior to joining the culinary team at JW Marriott Nashville, Chef Romain spent almost ten years at Jean Philippe Patisserie in Las Vegas, where he served as the Assistant Executive Pastry Chef, direct assistant to world pastry champion Jean Philippe Maury and Executive Pastry Chef Nicolas Chevrieux. In this position, Chef Romain oversaw the overall production of the kitchen, where he and his team delicately crafted a variety of sweets – chocolate, dessert, Danish pastries, cookies and candies. Chef Romain was also in charge of creating chocolate showpieces, amenities and holiday displays to astound guests at the Aria and Bellagio hotels. Prior to moving to the United States, Chef Romain honed his skills working in his first Pastry Chef position at Patisserie Henriet in Bidart, France, working primarily with chocolate, confectionary and pastry. Chef Romain received a Master of Arts in pastry and two Associate of Arts degrees in bakery and pastry from CFA Le Prieure in La Rochelle, France, where he learned and mastered his techniques. During his apprenticeship in 2004, Romain was recognized as one of the best bakery students in France as part of the MAF Boulangerie competition. At an early age, Romain discovered his passion for making cakes with his mother and grandmother in his home kitchen. During his later high school years, his love for baking led him to an internship at a small, country pastry shop in Tonnay Charente, France. It was here that his true love for pastry began. At JW Marriott Nashville, Chef Romain is excited to bring his innovation and creativity to surprise and delight guests. Bringing inspiration from France, the country of food lovers, Romain looks forward to artfully crafting the most delectable desserts in Music City. 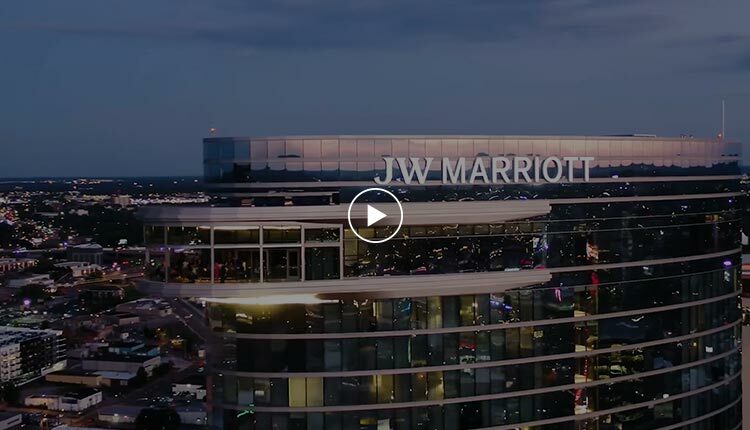 Simon Bowker joined the JW Marriott Nashville team in March 2018 as the Executive Chef. As head of the culinary division, Bowker oversees all food and beverage operations for banquets, catering and the hotel’s outlets – renowned Bourbon Steak by Michael Mina, Stompin Grounds and Stompin Grounds Market. 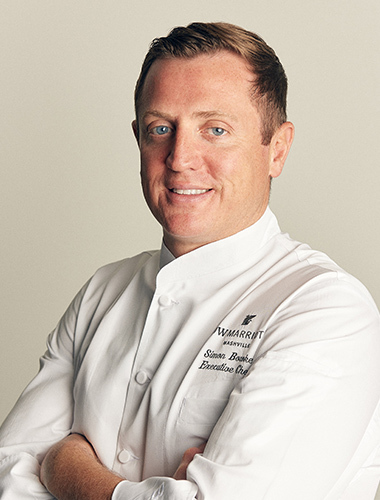 Prior to joining the JW Marriott Nashville, Bowker served as the Executive Sous Chef at the historic Fontainebleau Resort in Miami Beach. At Fontainebleau, he oversaw culinary operations for over 200,000 square feet of event space and 11 outlets, including three world-famous signature restaurants, Hakkasan, Scarpetta and STRIPSTEAK by Michael Mina. Chef Simon credits his development as a culinary leader to his time working under the resort’s well-respected VP of Culinary Operations and Executive Chef Thomas Connell. Bowker studied at the Kendal College of Culinary Arts in England and received his formative training under acclaimed Chef Eric Bruce at the Belfry Hotel and Golf Resort in Birmingham, home of the Ryder Cup. Bowker’s exquisite talents have allowed him the honor of cooking for many well-known dignitaries, including Former Presidents of the United States. Through his travels and over 22 years of experience in kitchens around the world, Chef Bowker brings a unique international flair to his culinary executions. He enjoys the process of creating – experimenting with food, developing menus and building teams of passionate and professional culinarians. Bowker notes Chef John Campbell, one of the UK’s most celebrated chefs, as one of his most influential mentors – teaching him the importance of combining complex elements into dishes that look and feel simple and natural. Chef Bowker has a true love of food that began at an early age in his home kitchen, where he was inspired by his father, also a professional chef. He is thrilled to bring his culinary inspirations from around the world to the Music City market, creating unforgettable experiences for each and every JW Marriott Nashville guest. John Ford joined the JW Marriott Nashville team in April 2018 as Executive Sous Chef. Ford assists the Executive Chef Simon Bowker in overseeing all food and beverage operations for banquets, catering and the hotel's culinary outlets – renowned Bourbon Steak by Michael Mina, the hotel's original concept Stompin Grounds and Stompin Grounds Market. Before moving to Nashville, Executive Sous Chef Ford served as Chef de Cuisine at The Ritz-Carlton in Sarasota where he oversaw culinary operations for highly-successful culinary outlets Jack Dusty, the Jack Dusty Market and the Bayview Pool. Previously, Ford served as Senior Sous Chef for Stripsteak by Michael Mina for two years, during which time the restaurant was named Best Steakhouse of 2016 by the Miami New Times. He also worked as a Sous Chef of Banquets and Senior Sous Chef of Banquets at Turnberry-owned iconic beachfront resort, Fontainebleau Miami Beach, where he oversaw a team of 25 cooks and two sous chefs. In 2008, Ford received a Bachelor of Science degree in Food Service Management following his 2006 Associate of Science degree in Culinary Arts from Johnson & Wales University in Miami, Florida. Chef John’s love for cooking began in high school after enrolling in a culinary arts course during which he was introduced to new flavors and cuisines. Chef John is dedicated to providing an imaginative dining experience that showcases quality ingredients at their peak. He looks forward to making the JW Marriott Nashville a culinary destination that is unlike any other in the market.